I've always had a fascination with the odd and unusual. Currently, I've been reading a book called A Cabinet of Medical Curiosities by Jan Bondeson, which talks about strange medical occurrences that have been documented both in folklore and in official medical records throughout history. Some are believed and mentioned often today. I found the history, the stories, and the theories behind these medical curiosities very interesting and have decided to share some of what I've learned with all of you. Hope you find it as fascinating as I do! A scene from Charles Dickens' Bleak House. Illustration by Phiz, 1933. The first topic in the book was spontaneous human combustion (SHC). This abnormal event has been documented since the sixteenth century. The theory was that if a person drank too much liquor and strong spirits, the alcohol in their stomach might suddenly ignite. This was one of the main arguments for temperance, used through the nineteenth century. However, now the most popular theory is the candle or wick effect. In this theory, there is no real spontaneous generation of a flame. Instead, a person might have dropped a lit match or gotten cigarette ash onto their clothing, which then ignited. The person's fat would then act as a fuel and as it melted, would seep into the clothing, which would act as a wick. Since many of the tales of spontaneous human combustion involved drunken or old individuals, it would seem likely that they would have been unable to put out the fire on their clothing due to either weakness or unconsciousness. Now for the stories. First, many of the tales surrounding spontaneous human combustion involve many of the same details. The body of the victim is always either fully or mostly incinerated. Sometimes a single part of the body, such as a foot, would remain behind. Also, the clothing was not always reported burned. In many stories, the clothing is untouched, as well as the surrounding environment. There is usually no evidence of a source of fire, thus leading the witnesses to believe the fire ignited spontaneously. Finally, the victim is almost always alone at the time of combustion. 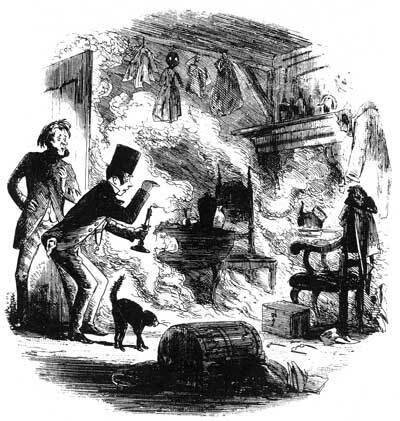 Spontaneous human combustion had actually been present in Scandinavian folklore very early on. There was even a "cure" for it: human urine thrown into the flaming mouth of the victim would quench the fire. However, the first account of SHC was in the sixteenth century in Norway. A parson of the village of Telemark was leaving a Sunday service when he came across a unconscious drunken man lying on the ground. A blue flame was burning inside the man's mouth. The parson quickly urinated into his mouth to stop the fire, but the man awoke and thought the parson was insulting him as a non-churchgoer. The congregation supported the drunkard and the parson was beaten to death with an alter candlestick. Possibly the most famous account of SHC took place in St. Petersburg, Florida in 1951. An obese elderly widow, Mary Reeser, had not come out of her apartment. When a landlady tried to open the door, the door knob burned her hand. Once she had broken into the apartment, she found Mary's burned remains in an armchair. All that was left of the widow were part of her backbone, a foot, and what resembled a shrunken head. After investigation, it was theorised that Mary had dropped a cigarette on her very flammable rayon-acete nightgown after taking sleeping pills. SHC is a very intriguing topic. Literary minds, such as Charles Dickens and Herman Melville, were intrigued enough to include it in their writing. To this day, it is unproven whether or not SHC is a real phenomenon. Who knows if this mysterious curiosity of science will ever be solved? I gotta put this on my to-read list!